Front row, left to right, LT Hartford, LTJG Mailhes, LT Schade, LTJG Davis, LCDN. Merchant, LTJG Edson, ENS Boose, M Tank, LTJG Gottschalk. 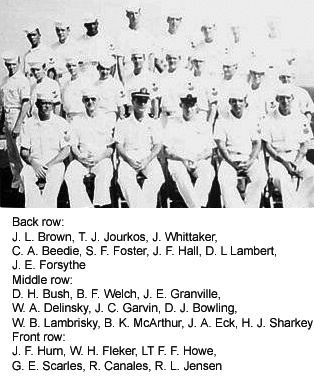 Back row, LT Mullaney, LTJG Seen, LIJG Agnew, LTJG Howe, LT Smith, CWO-3 Grueser, CDR Gernert, CDR Knutson, LTJG Zambori, ENS Dolny, LTJG Garvey, LTJG Wileen, LT Fuller. Left to right, LGDR. 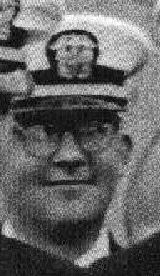 Schade, LCDR Smith,CDR Nussbaumer, LTJG Lull, LTJG Dolny, LTJG Ramsey, LI Fryer, LTJG Selkey, CWU-3 Crueser, LT Edson, LT Price, GJR Knutson, LT Wileen, ENS Thomas,LTJG Lewis, CDR Smith, LTJG Garvey, LTJG Scene, LT Feldhaus, LCDR Headley, LCDR Mullaney, LTJG Boose, LTJG Tank, LT Zambori, LT Gottschalk. 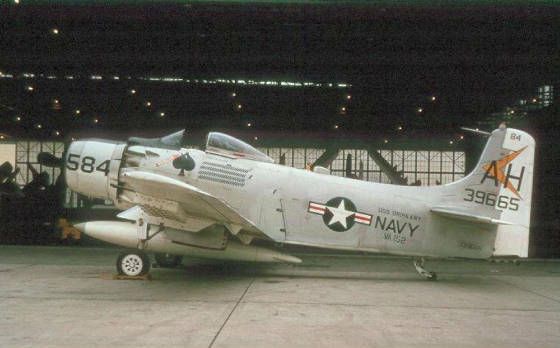 Below you can read the "VA-152, A SPAD SQUADRON IN VIETNAM" history of VA-152 during the time the squadron served in Vietnam aboard the USS Oriskany in 1965, 1966 and 1967. This history was written by LT J.M. (Bud) Watson in December of 1967 and as a result, contains good insight into the squadron durring that time period. 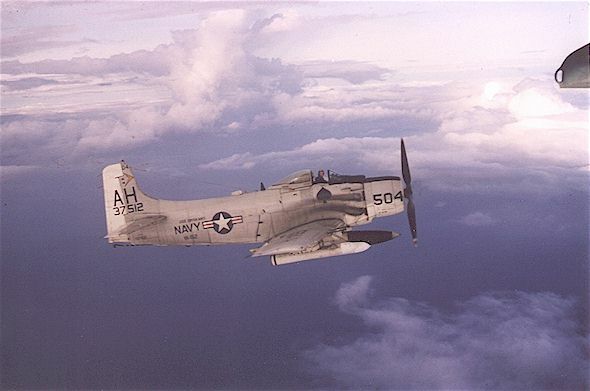 Douglas Skyraiders above from VA152 attached to the USS Oriskany during the Westpac cruise of 1966. 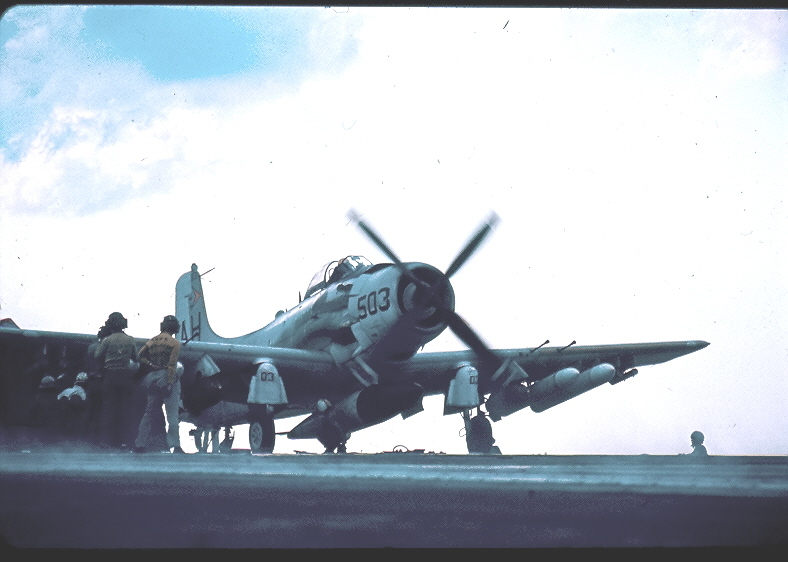 Pictures courtesy of Andy Thomas, brother of Darwin Thomas who lost his life during this cruise while flying a Skyraider. The plane above on the right is AH-501 - 139701 which Lt Charles Wigger Fryer was flying when he was shot down over North Vietnam by small arms fire and killed in action on 7 August 1966. The plane above was the plane Jack was in when he was shot down (AH-510, 137629). Andy Thomas thinks it's a good possiblitiy Jack is the pilot in this picture which was taken by his brother ENS Darwin Thomas. Here's a picture of a different aircraft on the ground with the same side number but a different tail number (serial number). Not sure when this photo was taken or where. 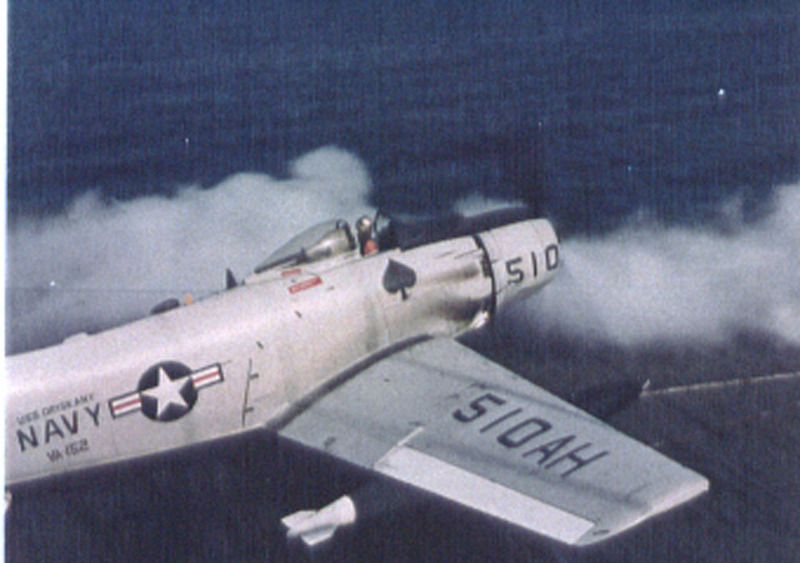 BuNo 139665 was in VA-152 on the USS Oriskany during the 1965 cruise and before the 1966 cruise. It was given to the South Vietnamese later and flown to Loas at the end of the war. It now is fully restored in the Tennessee Air Museum in Sevierville TN where it is from time to time. It now is painted in USAF camouflage. 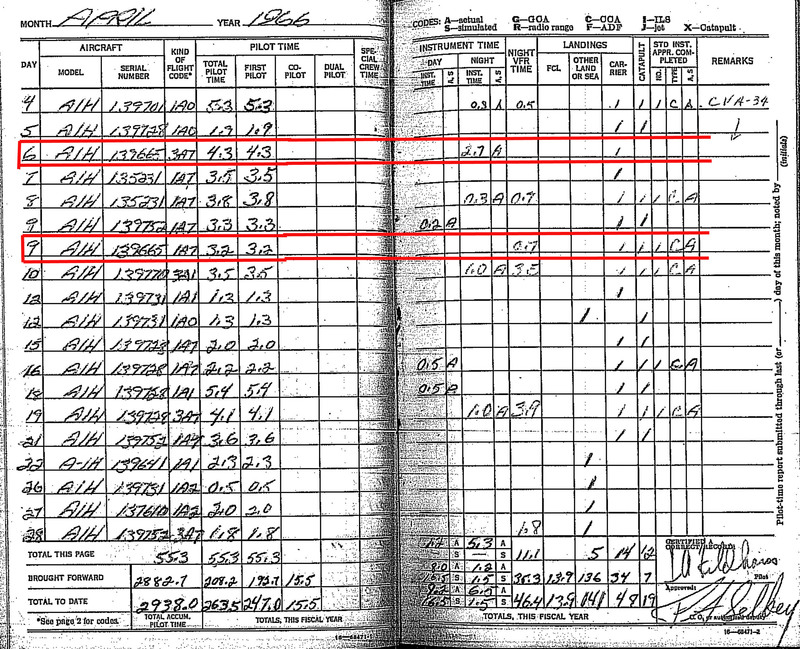 Jack's flight log indicates he flew this plane 6 Apr 1966 4.3 hrs. with 2.7 hrs. night instrument time and .6 hrs. night VFR time. He flew it 9 Apr. 3.2 hrs. with .7 hr. night instrument time and 2.5 hrs. night VFR time. 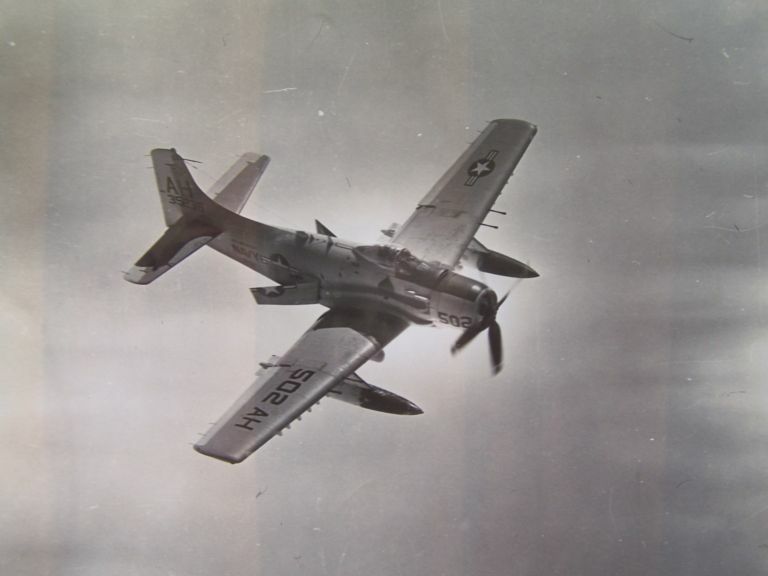 The pictures of the two VA-152 Skyraiders above were taken in October, 1966 by Richard F. DeLesDernier who served aboard the USS Oriskany in 1966, 1967, and 1968. 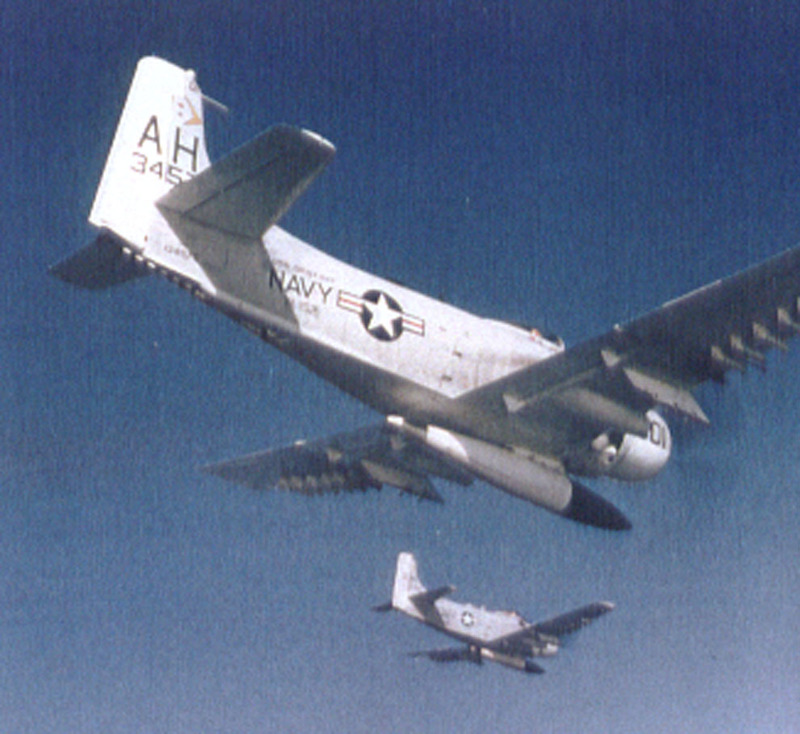 The one on the right was 513-137610 which LTJg James Alvin Beene was flying when he was killied in action in 1966. Above an A1-H of VA-152 from USS Oriskany taken from a USAF Grumman HU-16B air rescue amphibian over the South China Sea in Sept 1966. This picture of an A1-H (AH-502) from VA-152 off the USS Oriskany was taken during the summer of 1966 by Lt Vann Goodloe from an HS-6 Sea Air Rescue Helicopter off the coast of North Vietnam. The plane had it's air brakes extended to slow the plane so it could pull up along side where the pilot slid back the canopy and took a picture of the helicopter. 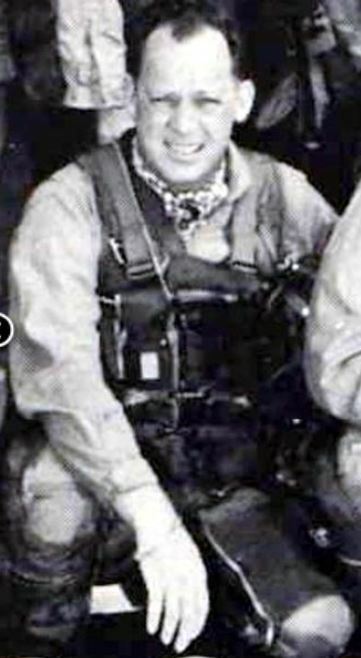 Fred Guenzel wrote: As you know, I was flying with Jack when he was shot down and I think I was probably the one flying with him when the picture was taken. I'm not positive it was Jack in the picture diving with the speed brakes out, but I am fairly certain it was him. We came up on a C-130 refueling a "Big Mother" helicopter at slow speed . I dropped the hook, lowered gear and opened the canopy and flew along side it. We were the only Spads around in the area and so I know it was whoever I was flying with. He put on a nice fun little air show. He put out the speed brakes and made a beautiful dive. I remember thinking how unusual it was to see the speed brakes out on a A1. I had seen some of the Spad drivers throwing out the landing gear to slow down rather than using the speed brakes. I had flown with Jack enough to know what a really good pilot he was and he really knew the Spad. He had the speed brakes deployed so he could dive more steeply and then pull up, clean up and climb back up. It was a long double or triple cycle (one launch/recovery cycle usually took an hour and a half -- any longer and the jets would run out of gas). As I said before, I can't swear that it was Jack I was flying with this time but I am fairly certain it was Jack. I was the skipper's (Gordon Smith) wingman but I was flying with different people while Gordon, was recovering from burns he received while bailing out of his burning aircraft. I did fly several times with Jack during that time. 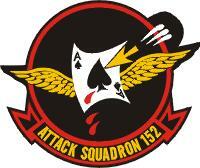 If the above link doesn't open, view the VA-152 web site here. 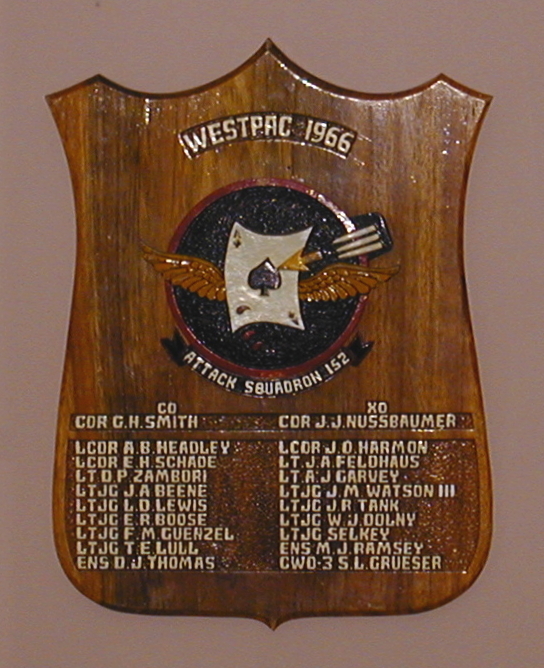 VA-152 was attached to WESTPAC for the 1966 cruise aboard the USS Oriskany CVA-34. Click here to view the logbook for this cruise. Click here to read a free digital version of the USS Oriskany 1966 Cruise Book. Click here to read a free digital version of any USS Oriskany Cruise Book as well as information about the ship and its history. 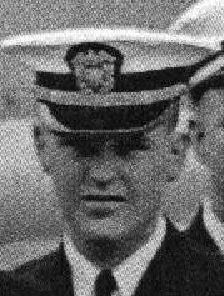 The skipper (pictured below) was Gordon Smith (Rear Admiral, retired) who now lives in southern California. 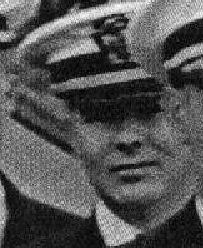 The Executive Officer, Commander John Joseph Nussbaumer, died in the shipboard fire on October 26 1966 that ended the 1966 cruise. 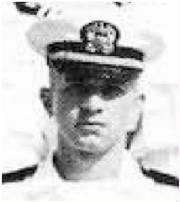 He was born October 24 1928 and joined the Navy in Vancouver Washington in 1948. He was married. Click here to read about the fire aboard the USS Oriskany. 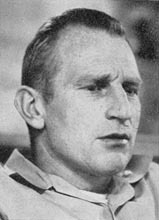 Al Headley became XO for the 1967 cruise. 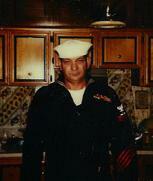 3Jun08 - Allen B. Headley, age 80, passed away Monday, May 26, 2008 at his home in Pensacola , FL. Allen was born in Rochester , NY , son of Robert T. and Barbara Allen Headley. CDR Headley and his wife resettled in Pensacola after his retirement from the Navy in 1976. 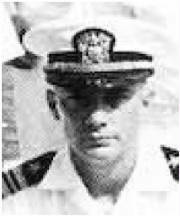 A US Naval Academy Graduate and Aviator, his twenty-four year Naval Career included two combat tours in Vietnam aboard the USS Oriskany as Operations Officer and Executive Officer of an attack squadron during 1966 to 1967. He was awarded the Distinguished Flying Cross, 14 Air Medals, the Navy Commendation Medal with Combat "V" and 3 star's, Navy Unit Commendation twice, National Defense Service Medal, Vietnam Service Medal with 3 star's, Republic of Vietnam Campaign Ribbon and the Republic of Vietnam Meritorious Unit Citation Gallantry Cross Color. 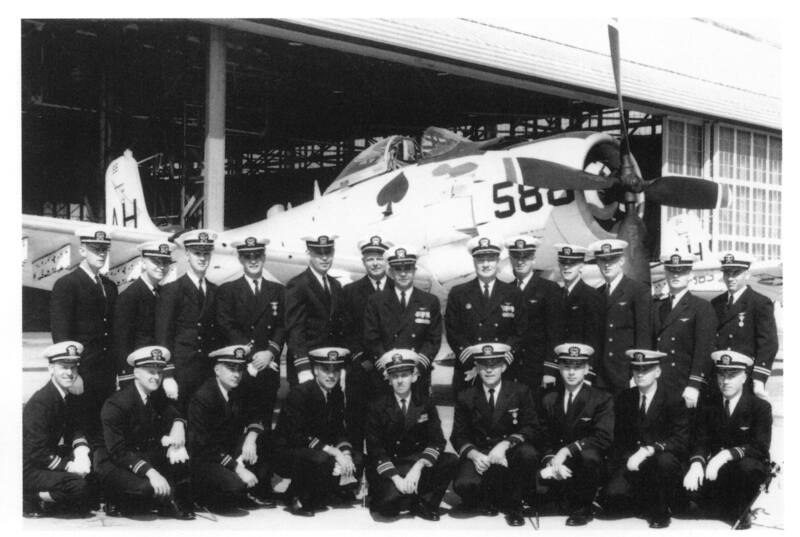 He then served as the Commanding Officer of VT-6, NAS Pensacola, Florida and then for the remaining 5 years of his career, served as the Air Operations Officer for NAS Key West, FL. Allen is survived by his wife of 56 years, Anne Wiggins Headley, his brother and sister-in-law Robert T. and Margie Headley of Ormond Beach, FL, daughter Ellen H. Parks and son-in-law Thomas C. Parks of Dothan, Alabama, daughter Barbara H. Jones of McDavid, FL, grandchildren Elizabeth Parks, T.C. Parks, Margaret Anne Parks, Allen Tanner Headley, and great grandchild Catherine Elizabeth Headley. CDR Headley was a member of the US Coast Guard Auxiliary, Pensacola Big Game Fishing Club, Distinguished Life member of the Florida Sheriffs Boys Ranch and Sheriffs Association, and NRA Benefactor. He enjoyed big game fishing with friends, boating with family, hunting, farming, community service, and many other hobbies during his life in retirement. Allen was a mentor to all who knew him and will always be remembered for his kindness, generosity and his life's example of service to others and duty to country. In lieu of flowers, please consider memorial gifts in his memory to the Naval Aviation Museum Foundation, 1750 Radford Blvd , Suite B, Pensacola , FL 32508 . Visitation will be from 5:00 to 7:00 pm Sunday June 1st 2008, at the Oak Lawn Funeral Home Chapel. Funeral services will be held at All Faiths Chapel on NAS at 12:00 pm Monday, June 2, 2008. Burial will follow at 1:15 pm in the Barrancas National Cemetery with full military honors. Oak Lawn Funeral Home is in charge of arrangements. LT John (Jack) Anthony Feldhaus was shot down and killed in action in North Vietnam October 6, 1966. Jim Harmon was the star of the 1967 cruise, later commanded the first EA-6B squadron at Whidbey Island, and now lives in the Fallon area. Don Zambori died in a crash after his engine caught fire coming out of Lemoore in early 1967. Jerry Garvey flew for Pan American for many years. He died of cancer about six years ago. Bud Watson also made the 1967 cruise. He is an environmental lawyer working out of Ashland, Virginia. Larry Lewis worked for SeaLand on the West Coast for many years. He died in the early 1990s. Bob Tank lives in Boca Raton, Florida. Butch Boose should be a captain (or retired captain) with Northwest Airlines. Bill Dolny is a 747 captain with Northwest, living in the Minneapolis suburbs. Fred Guenzel, Jack's wingman the day he was shot down, is a retired 737 captain with Delta, living in Berkeley, California. 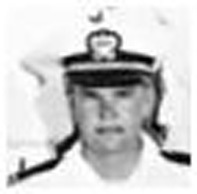 Pete Selkey, also a Delta captain, lives in St. Petersburg, Florida. 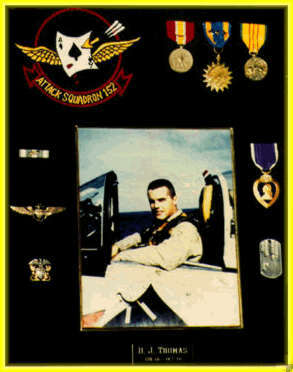 Tom Lull flew A-7s, EA-6Bs and C-2s before retiring from the Navy. He lives near Charlottesville, Virginia. 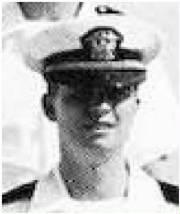 ENS Darwin Joel Thomas took off from the USS Oriskany October 14 1966 on an armed reconnaissance mission over North Vietnam. 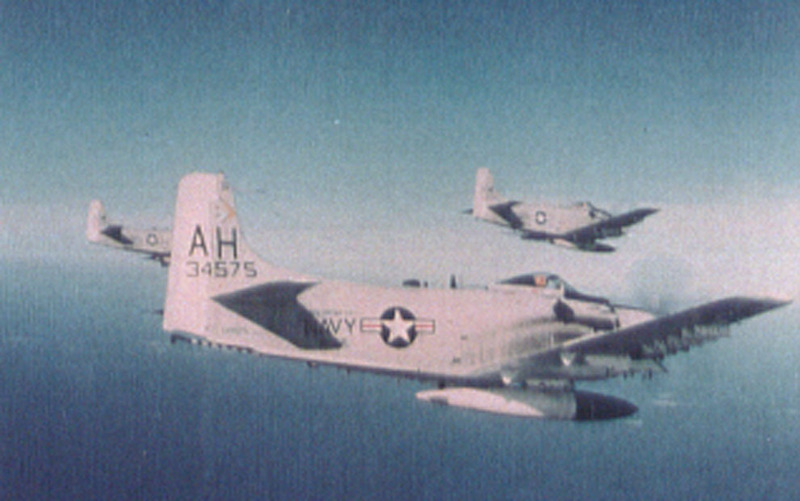 Over the target area, ENS Thomas fired his rockets at a suspected target and then, as his wingman watched, ENS Thomass A-1H Skyraider crashed amid a fireball. The incident was designated REFNO 0495. 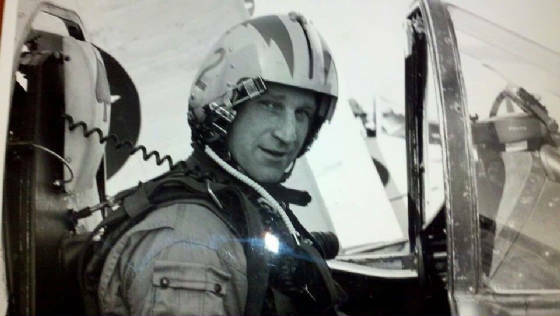 Ensign Thomas was assigned to the same squadron as Jack Feldhaus and the recorded location for his crash site is approximately 18 kilometers from that of Jack Feldhaus. He entered the Navy in Santa Clara California. The Vietnam Vieteran's Association chapter 201 in Santa Clara/San Jose is named memorially for him. He was married. The following information came from Andy Thomas the younger brother of ENS Thomas. June 2005 - Whoever does the searches for MIA's found the propeller of ENS Thomas' plane. They are looking for two women in a picture standing next to the wreckage of a plane they said was the A-1 ENS Thomas was flying. They were planning on going on another dig the following winter. September 2006 - They didnt find a crash site. They were going to check out where some said that a plane crashed. One of the villagers had an A1 propeller. The guide never showed up and that was that. April 2008 - The MIA guys found ENS Thomas' crash sight. They talked to some witnesses who remember the crash. It was in rugged terrain and no one hardly ever goes up there. They said they saw bones in '72 and '83 but didnt touch anything. Would have been nice if they told someone. When they went up there to check out the area there were holes dug all over. They did find some ammo and bits of metal laying around, identified as Skyraider parts. That was about 4-5 months ago. They are supposedly back there now clearing the area to do a dig. Their ground penatrating device detected what could be a plane. April 2009 - The family hadn't heard a word from the guy who was in charge of his case. They got the phone number and found out he no longer works there. The new guy said he would check things out and get back to us. They were supposed to do a dig 2 years ago. Its now on the back burner. They said they have dug all the sites they are going to dig and ENS Darwin is not on the schedule. "Maybe 2010" is what they said. Oh well, the family waited 43 years I guess they can wait a few more. 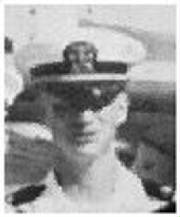 Sidney (Sid) Lawrence Grueser, CWO4, was the maintenance officer in 1966. 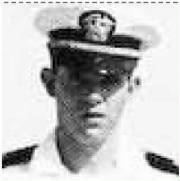 After leaving VA152 in 1967 he was transferred to Pensacola. He remained there until he completed his 30 years in the Navy in 1970 and retired. He and his wife resided in Pensacola until their deaths. He passed away after a harsh and fast onslaught of acute leukemia in December 1989 and his wife, Sammy Lee, followed in May 1991. The following two officers joined the squadron about the time Jack was shot down and their names aren't inclued on the wooden plaque. John Spiegel is a retired Foreign Service Officer with the State Department. 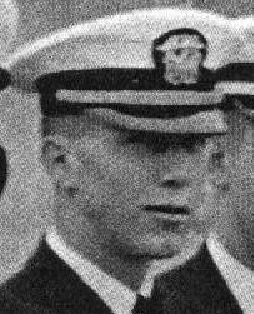 LTJG Robin (Rob) Bern Cassell was shot down on July 15, 1967 while leading a flight of A1-H aircraft on a daytime armed coastal reconnaissance mission over North Vietnam. While attacking water craft near Cua Dai and Thanh Hoa his aircraft was hit by automatic weapon fire and after radioing "I'm hit" crashed in the sea. He was listed as "Killed in Action, Body Not Recovered". He was born December 6 1941 in Little Rock Arkansas. He graduated from the U.S. Naval Academy in 1964. His home of record was Ft. Huachuca Arizona. He was married. J.J.Buterbaugh ADR2, served 1955-1975. On the U.S.S. Oriskany with VA-152 1965-1966. 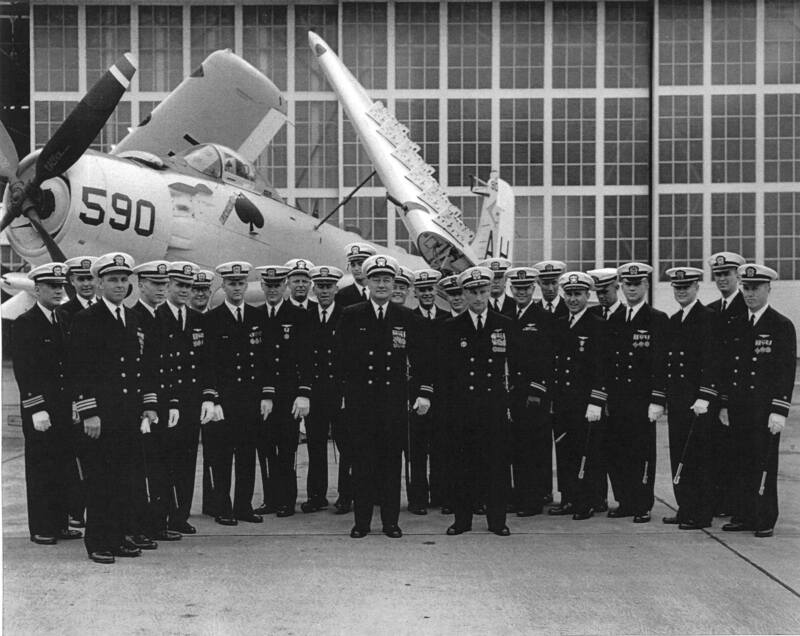 LCDR Eric Schade had also been with VA-152 on the USS Oriskany the prior year. Following is the story of what happened on November 17, 1965. Source: Compiled by Homecoming II Project 15 May 1990 from one or more of the following: raw data from U.S. Government agency sources, correspondence with POW/MIA families, published sources, interviews. Updated by the P.O.W. NETWORK 1998. SYNOPSIS: The USS ORISKANY was a World War II-era carrier on duty in Vietnam as early as 1964. The ORISKANY at one time carried the RF8A (number 144608) flown by Maj. John H. Glenn, the famous Marine astronaut (and later Senator) flew in his 1957 transcontinental flight. In October, 1966 the ORISKANY endured a tragic fire which killed 44 men onboard, but was soon back on station. In 1972, the ORISKANY had an at-sea accident which resulted in the loss of one of its aircraft elevators, and later lost a screw that put the carrier into drydock in Yokosuka, Japan for major repairs, thus delaying its involvement until the late months of the war. There were many strikes in the "Iron Triangle" area of Vietnam - Hanoi, Haiphong and Thanh Hoa - in the early weeks of ROLLING THUNDER operations in 1965. 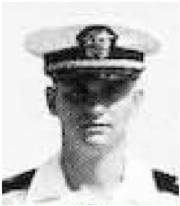 The Air Wing 16 commander, CDR Harry T. Jenkins, Jr. had been captured four days when when the Saints of Attack Squadron 163 launched on a strike on the Hai Duong Bridge halfway between Hanoi and Haiphong in North Vietnam on November 17, 1965. On that day, a number of aircraft launched from the ORISKANY inlcuding LCDR Roy H. "Hap" Bowling, the squadron's operations officer and the pilot of an A4E Skyhawk light attack aircraft. LTCDR Bowling was flying a high speed, low-level retirement after attacking the target near the city of Hai Duong, Hai Hung Province, North Vietnam, when his wingman, flying immediately behind him, observed the starboard horizontal stabilizer fly off the aircraft, having been hit by enemy fire. The aircraft then rolled to the right and flew into the ground. A third pilot in the flight momentarily observed a deployed parachute at an altitude of about 100 feet. A fourth pilot in the flight flying past the parachute a few seconds later stated he saw the pilot hanging in the parachute appeared limp, and was not wearing his helmet. About a minute later, two airborne pilots observed a collapsed parachute on the ground in the vicinity of a well-populated area. One pilot saw what he described as "an inert form" under the collapsed parachute. The pilot stated that within three minutes time, the parachute had disappeared. Although search and rescue efforts in Vietnam were the best history had seen, only one out of six Americans shot down in the Iron Triangle region who were alive on the ground were rescued. The area was heavily populated, and villagers were eager to seize "air pirates" who came their way. It was also common for entire aircraft to be carried away, piece by piece, in an amazingly short period of time to reappear as parts of huts, souvenirs, or melted into a variety of objects. Two A-1H pilots from VA-152, Eric Schade and Jesse Taylor, Jr., went in to reconnoiter Bowling's position to see if there was a chance he could be extracted by helicopter. Both A1H aircraft sustained battle damage from the AAA fire. One pilot, Eric Schade, was able to return safely to the USS Oriskany. 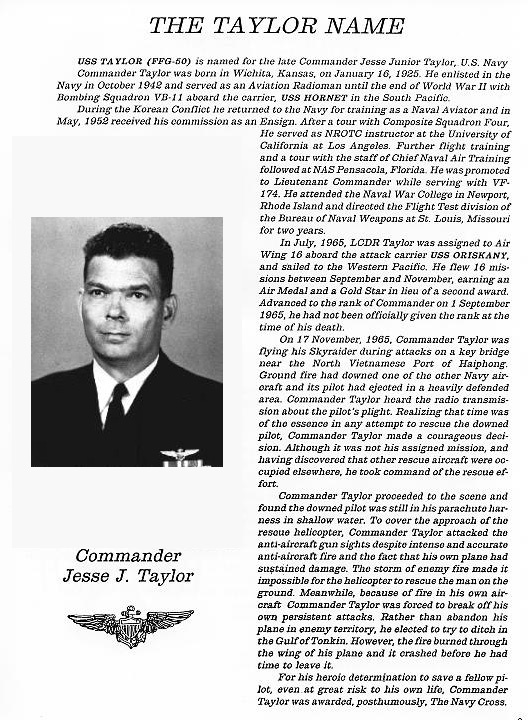 The second rescue aircraft, piloted by Jesse Taylor, succeeded in crossing the coastline before crashing into marshy shoals less then a mile east of the coast line and 1 mile south of the mouth of a river that emptied into the Gulf of Tonkin. 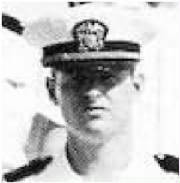 Other pilots believed Lt. Cmdr. Taylor was unable to exit his aircraft before it impacted the shoals. This crash site was located approximately 60 miles southeast of Hanoi, 29 miles southeast of the Hai Duong bridge, 16 miles south and slightly southwest of Haiphong and 13 miles south and slightly southeast of the Hai Phong Kien An MiG base. Rescue efforts continued until it became clear that neither downed pilot could be recovered. At the time formal SAR efforts were terminated, Roy "Hap" Bowling was listed Missing in Action. He was maintained in that status until the war ended. Jesse Taylor, was listed Killed in Action/Body Not Recovered. When 591 Americans were released from Vietnamese prisoner of war camps in 1973, Bowling and Taylor were not among them. The Vietnamese denied any knowledge of the two naval officers. Then in 1975, the Vietnamese, in a gesture of "good will" presented the remains of Jesse Taylor Jr. to the U.S. The U.S. gratefully accepted the "gift" of remains which should have been returned years before. Then on March 18, 1977, the remains of Hap Bowling were given to a U.S. presidentially-appointed commission visiting Hanoi. Roy Bowling's remains were accepted without question. A Vietnamese defector stated in Congressional testimony that Vietnam stockpiles hundreds of sets of American remains. Congress believed him. He also testified that Vietnam holds live American prisoners, that he had seen them. Congress says he is lying, although nearly 10,000 reports help substantiate that Americans are being held alive. The U.S. and Vietnamese "progress" at a snail's pace, while totally ignoring the tremendous weight of evidence that their priority should be those Americans still alive as captives. Meanwhile, thousands of lives are spent in the most tortured state imaginable - unable to grieve, unable to rejoice. They wait. 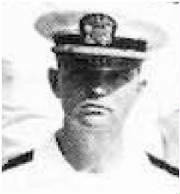 Roy H. Bowling was promoted to the rank of Captain during the period he was maintained Prisoner of War.